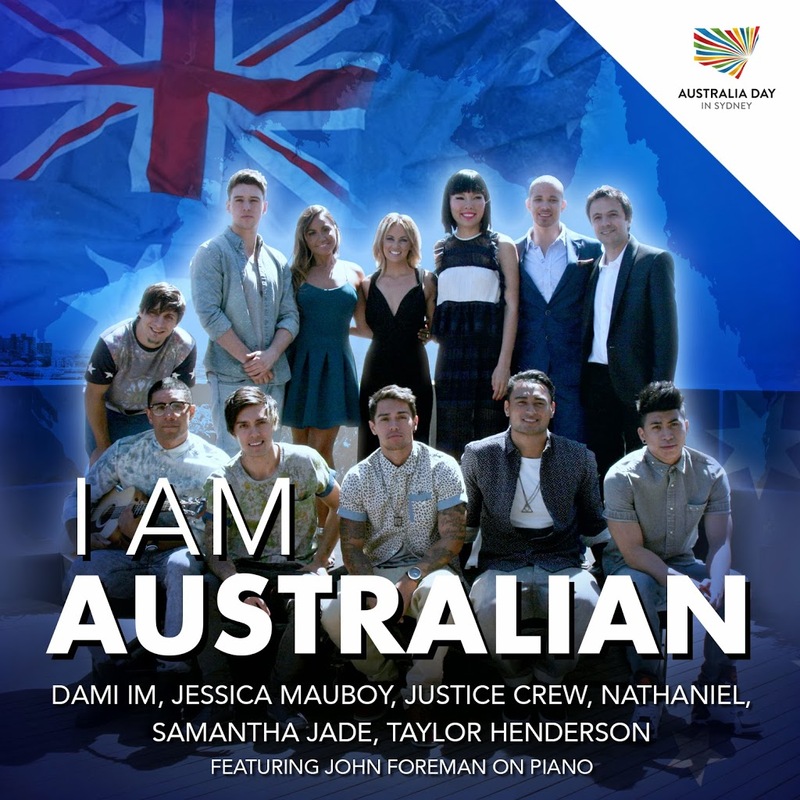 You’ll no doubt have seen this smattering of ‘X Factor’, ‘Australia’s Got Talent’ and ‘Idol’ stars coming together in Sydney recently to uncover their rendition of the anthemic Bruce Woodley/Dobe Newton track ‘I Am Australian’. Well from tomorrow you’ll be able to get your mitts on it digitally after its release to Aussie media late today. The cover version features established Sony stable stars Jessica Mauboy and Justice Crew, along with ‘X Factor’ 2012 and 2013 stars Samantha Jade, Nathaniel, Dami Im and Taylor Henderson, each of whom will be on hand on Australia Day this Sunday to perform a cover of a well known Australian song as part of Sydney’s Australia Day celebrations. They’ll all come together to perform the song at midday this Sunday at Blues Point Reserve in Milsons Point, Sydney. Previous Post: « WANT IT ALL FROM KARMIN? Cant seem to Find . . . .
on the Local iTunes Australia WebStore. Is there a link from those who can find it? The best version of this song is by Judith Durham, Russel Hitchcock (Air Supply) and Dr. Yunipingu (Yothu Yinid)that made the ARIA top 20 in 1997. Charles Fischer (Savage Garden, Olivia N-J) produced it. Wow. Sammy J looks like Britney on the cover! !